Secure your data transfers. Integrated encryption support using cutting edge standards (up to 256 bits AES) means ProVide is up for the task of securely managing business critical data. Support for professionally signed encryption certificates (like Verisign certificates) and self-signed keys are of course included. 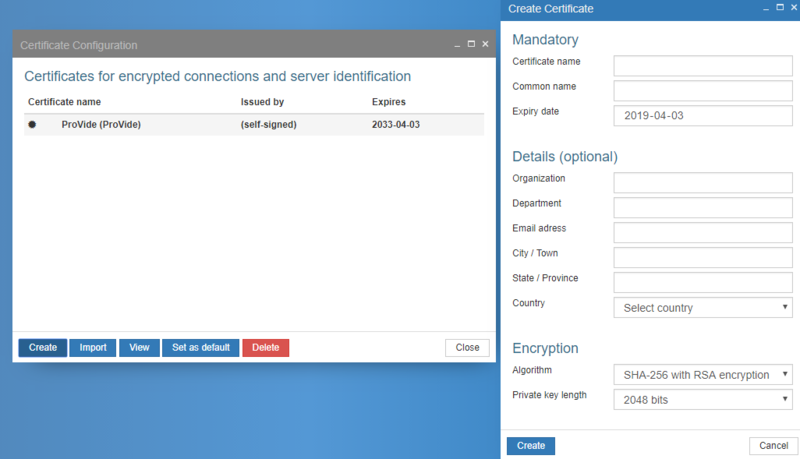 To access the Certification settings you need to login on the web based Admin interface with an account that has Admin privileges then in the top menu you click on Certificate. 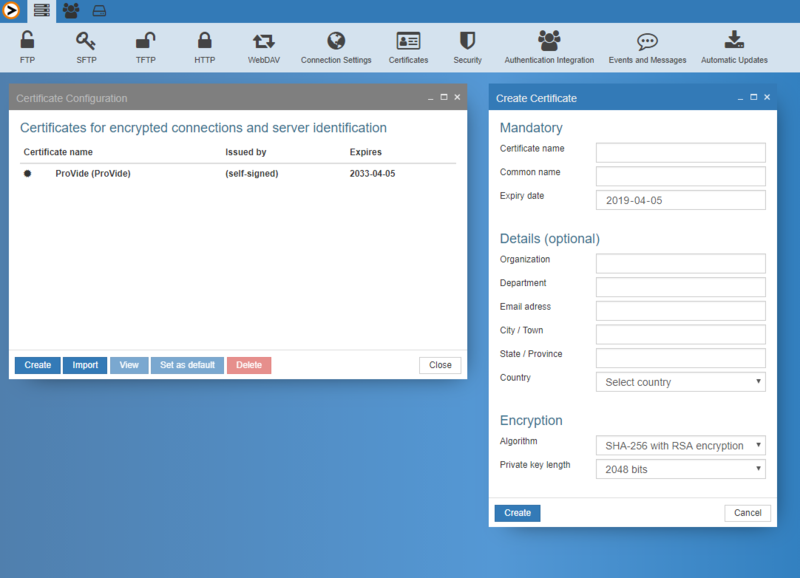 To create a new certificate you click on Create at bottom left. For more information on TLS/SSL, please visit our DocWiki.